Karachi, Sep 27 (PTI) The Pakistan Cricket Board's inquiry committee has recommended a three-match ban and fine on batsman Umar Akmal after finding him guilty of breaching three clauses of the players code of conduct. A PCB official told PTI on condition of anonymity that the inquiry committee, headed by Director Cricket, Haroon Rasheed, had recommended a three-match ban and fine on Umar and also suggested suspending issuance of NOCs for foreign leagues for a certain period. "The committee, after interviewing Umar and others, found the batsman guilty of breaching three clauses and it has now sent its recommendations to the PCB chairman Najam Sethi for further action," the official said. 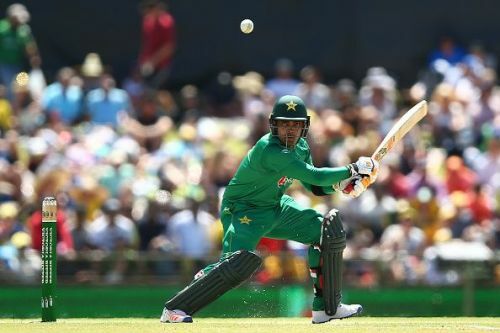 Umar had an altercation with Pakistan's head coach Mickey Arthur at the National Cricket Academy last month over practicing there. He later alleged in the media that Arthur had abused him. The official made it clear that the inquiry committee, which also included the legal advisor of the board, had only focussed on deciding whether Umar beached clauses of the players code of conduct. "It didn't reflect on the allegations made by Umar against Arthur. It has found the batsman guilty of breaching the code and left it up to the chairman to decide whether a larger inquiry is required for the allegations of use of abusive language by Arthur," the source added. "Umar breached three clauses by going directly to the media and criticising the head coach," the source said. According to the official, it is now up to the chairman whether he accepts the inquiry committee recommendations of three-match ban and a fine or go for the maximum punishment allowed for breach of relevant clauses.